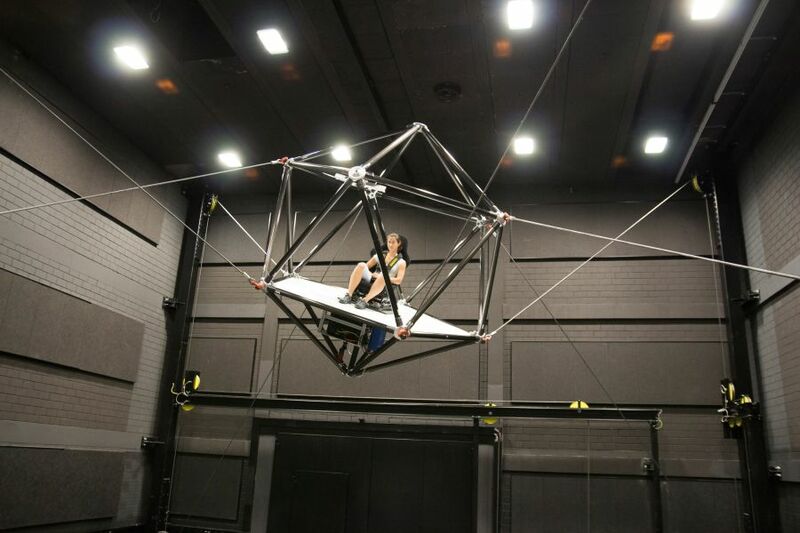 In the cable-driven simulator, the motion of the simulator cabin is controlled by eight unsupported steel cables attached to winches. 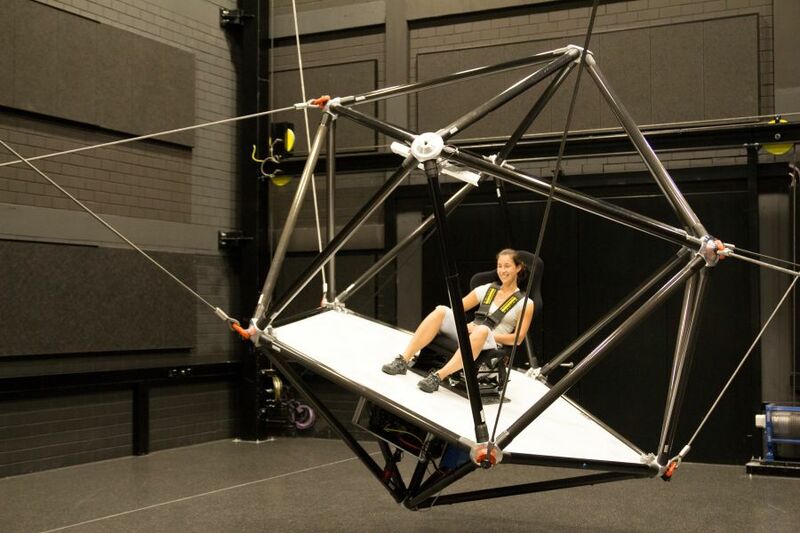 In contrast to conventional motion simulators, the use of cables makes it possible to reduce the moving mass and to scale the workspace to any required size. A total drive power of 348 kW allows the cabin to accelerate at 1.5 times gravitational acceleration along freely programmable paths inside a 5 x 8 x 4 m³ workspace. 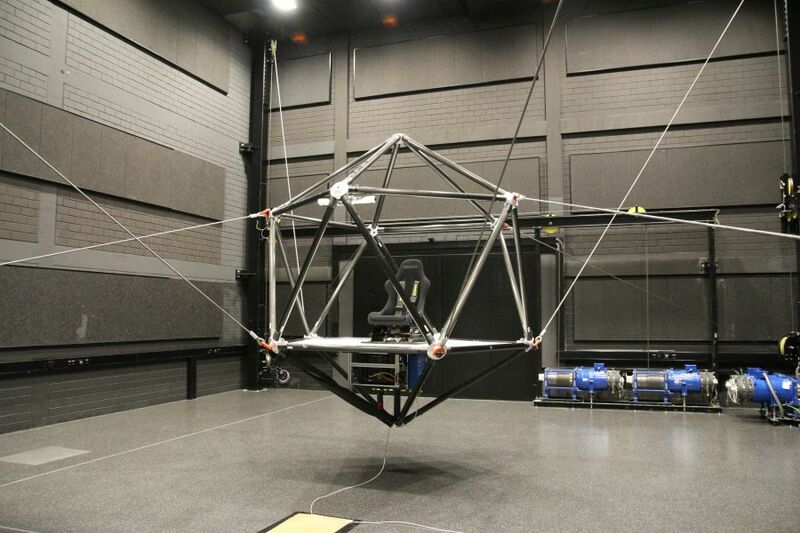 In addition, the cables can be reattached in under an hour to enable the simulator to be adapted to different cabins and thus used for a range of scenarios.